The Pacific Northwest is current under siege by some strong wind and rain storms. Generally, these types of storms arrive in November and December. A EF-2 tornado made landfall after starting as a water spout yesterday. (Not a common occurance). The video and images are quite stunning. 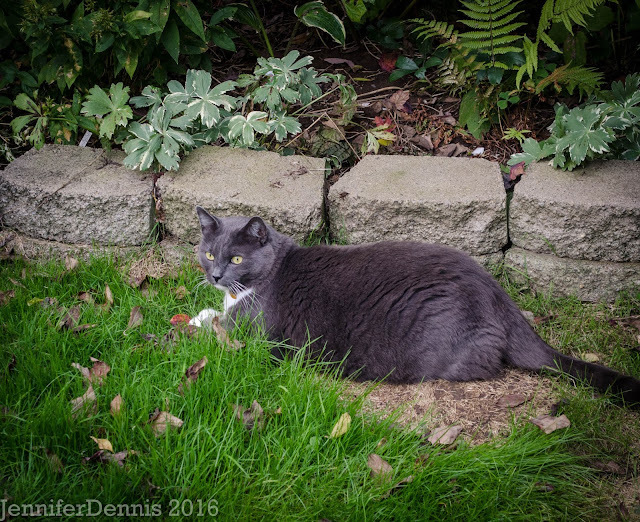 I took pictures and did yard clean-up/prep mid-week as I knew with the impending weather that the garden could get be trashed by the end of the weekend. We may have wind gusts of up to 60mph (about 100km per hour) with the second big storm rolling through this weekend. So, here are my October blooms, in full glory, before I cut most of them down and made pretty bouquets for myself and my neighbors to enjoy. A perennial I don't see enough of, is Trollius Chinesesis. 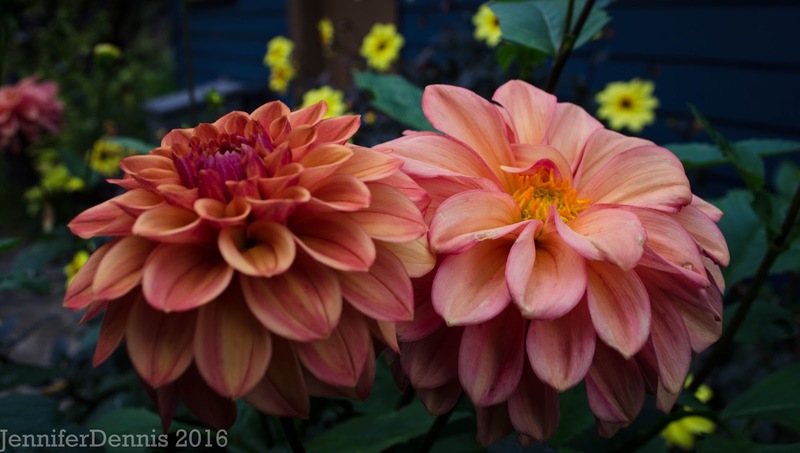 I have 'Golden Queen' and it bookends the blooming season nicely with a fall reappearance. I read a bit more about the plant and it likes boggy soil. It's doing well enough in my heavy clay, but I wonder if it might be more prolific in another spot. 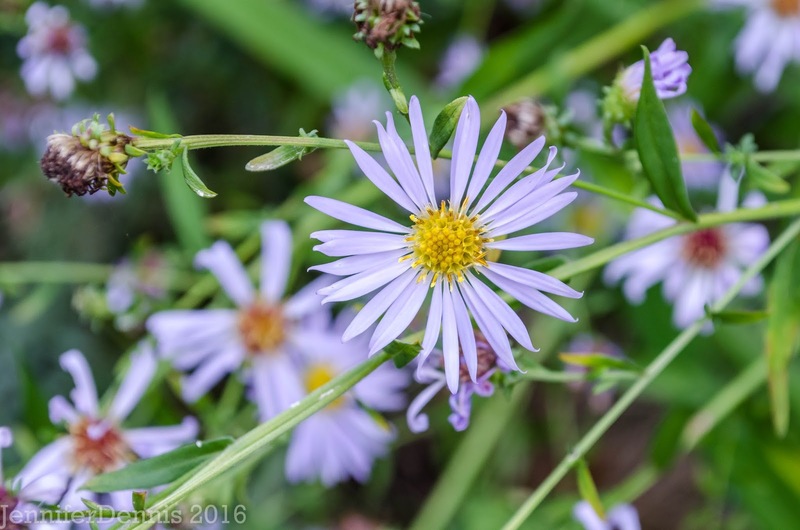 It wouldn't be a fall garden without asters. 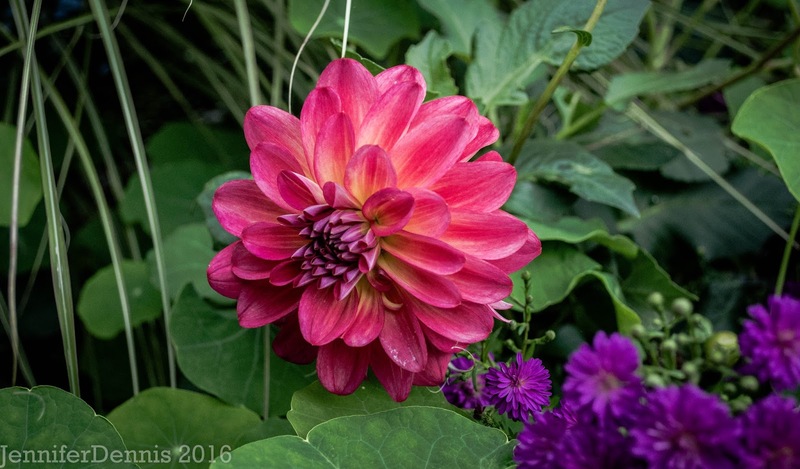 And it wouldn't be fall without dahlia blooms. 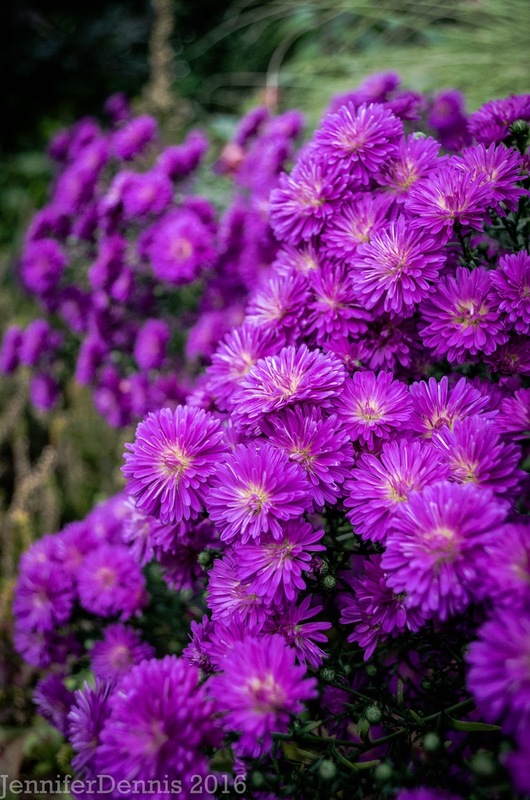 I love perennials that give me a long blooming periods and/or a second flush of fall blooms. Salvia 'Amistad' has been the best purchase of the year. It continues to pump out blooms for the hummingbirds despite the weather turning cooler. It's such a gorgeous shade of indigo blue. 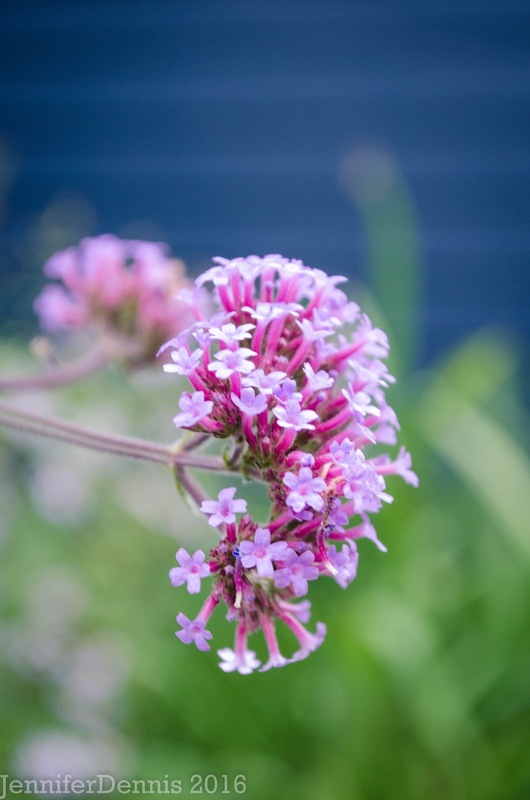 Verbena bonariensis is the prettiest petite bloom. I am getting more self seeded starts every year. Someone wasn't too impressed with my fab photo taking. 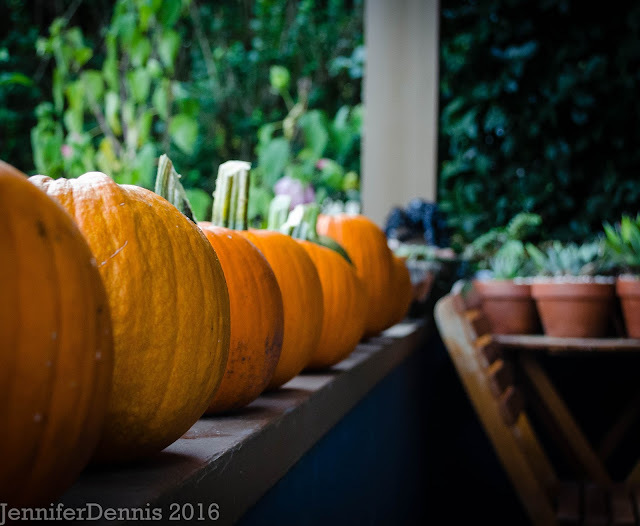 And finally, pumpkins! The kids picked them out of our garden and now it's time to prep for pumpkin meat preserving. 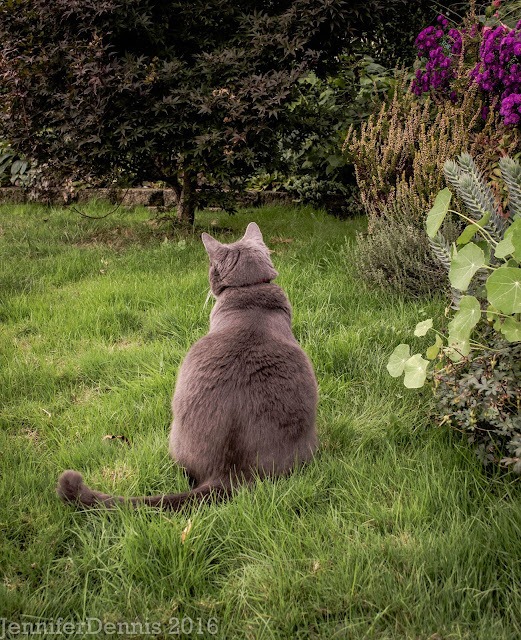 Wishing everyone a lovely October! Happy GBBD! 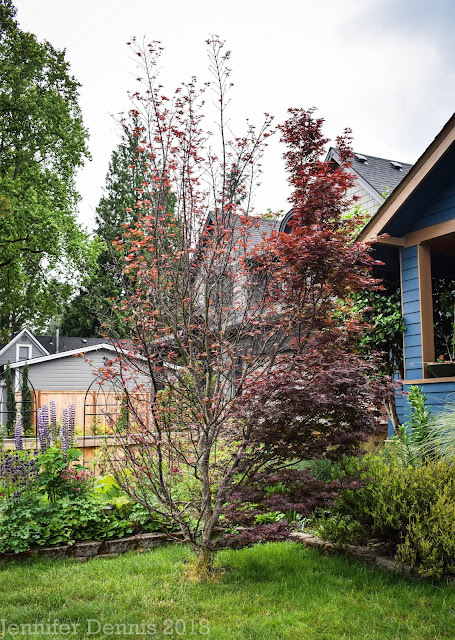 Visit Carol over at May Dreams Gardens to see what's blooming around the world every 15th of the month. Beautiful photos! I like to make frost bouquets too. I have to squeeze that last little bit of enjoyment out of the blooms while I can! Hope you're safe in the storms. Over here on the Eastside, we're getting a lot of rain, but so far not the wind. I hope the storms haven't made too much of a mess of your garden. Is salvia Amistad winter hardy with you? I love that blue colour to. We also have lots of been verbena seeding, some of it in the middle of paving. It seems to come up anywhere that it can get foothold. Could you line a hole with polythene with couple of holes in it to create a mini blog for your Trollius? 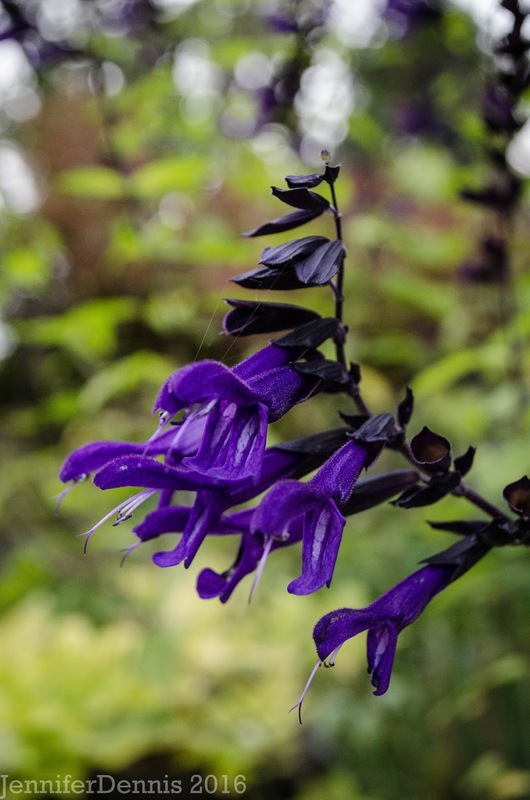 The Salvia 'Amistad' looks really great. Must try that next year. I guess the weather is not so different from England although maybe you get more storms. The dahlias look gorgeous , do you know their names? Happy GBBD! Your flowers are all so beautiful and colorful! 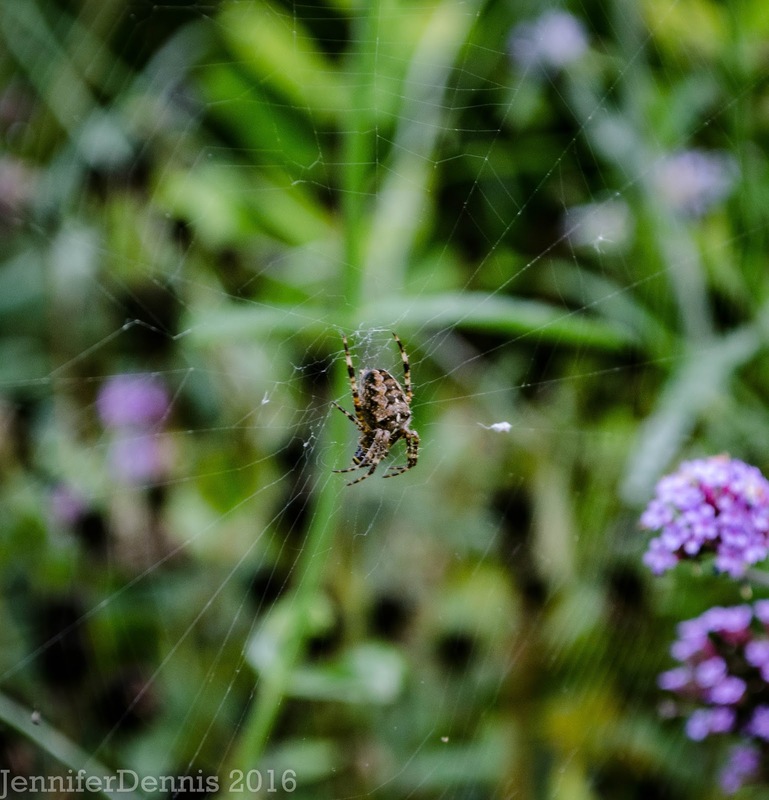 Beautiful photos as always, Jenni! I have a little Trollius but since my soil is anything but boggy where it is, I'm going to have to rescue it, if I ever want to see it flower, I think. Hopefully I'll remember to move it before it gives up the ghost completely - thanks for the reminder! Hi Jenni, hope your garden weathered the storm with no damage. You've got a lot of nice blooms happening. 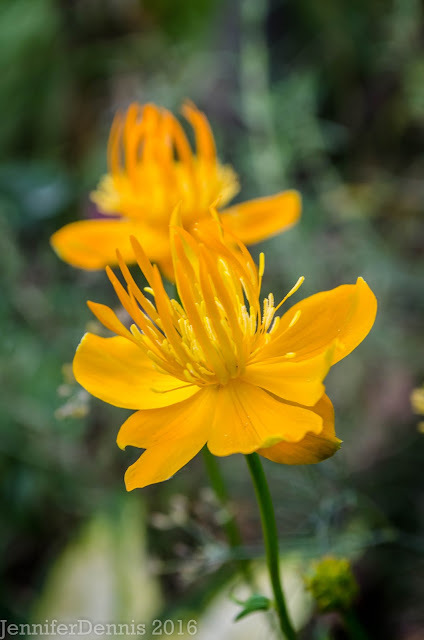 Trollius Chinensis was very popular in gardens in my Alaska hometown but I seldom see it in gardens here or even for sale much. How nice to see it in your post!